Truly driven by innovation and born from the idea, “There must be a better way,” our humidity control products offer unique solutions. They are installed on the floor and fit through a standard door, are easily maintained, have the smallest footprint and refrigerant requirement in the industry, and several other advantages. The best pool dehumidifier in the industry is useless without a properly designed air delivery system. The dehumidifier and air delivery must work in perfect harmony or disaster is certain. Most pool rooms have inadequate air delivery. 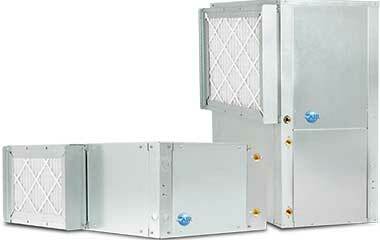 We custom design and specify your air delivery system to resolve this expensive problem. Our library of resources and design guidelines has proven to be as popular as our products themselves. We even set the industry standard by offering these resources. 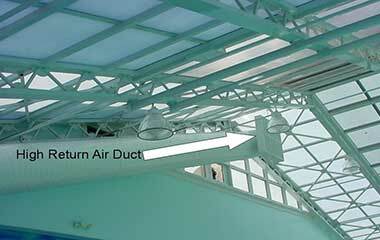 They were created to help you avoid problems with pool room humidity but ended up being part of the DXair innovation. And they're free! Wow, you people really know what you're talking about! This is a statement we probably hear more than any other. 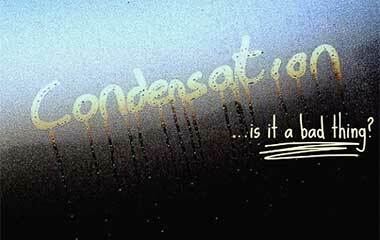 The fact is, pool room (or natatorium) dehumidification is plagued with myths and misinformation. Many of the “solutions” touted and sold actually make the situation worse. Yes, that sounds dismal and even scary, but you're in the right place to get the truth based on decades of proven experience. When you find out that every system we build is custom made for the pool environment it has to control, and the usage patterns it has to endure, and when you discover the comprehensive library of resources we have available, you might think our systems must be expensive. They're not. Considering everything they help you avoid, it's like getting paid for having one of our systems. Due to the prevalence of industry myths, some of it even being taught to propagate it further, you're likely to find plenty of surprises here. DXair is even birthed out of unconventional thinking. But give us a chance and you'll be among those who come to realize we really do know what we're talking about. As great and informative as we've created this site to be, nothing beats picking up the phone and calling us to discuss preventing or ending humidity problems in your indoor pool room. We really do mean discuss it too. You'll have a real person to talk to.